learly see the entire side of the house where the crack(s) occur. At this distance, I wouldn't be surprised if you can't see the cracks anymore! So, if necessary, move back in closer and back out farther, until you know where they are. Now look closely at the wall – note where all the windows are and try to imagine what rooms contain each of the windows. You must be able to do this, so walk back up until you see the cracks and make a mental note or picture where they are located relative to the windows. We need to use the windows to tie the inside of the house with the outside of the house. 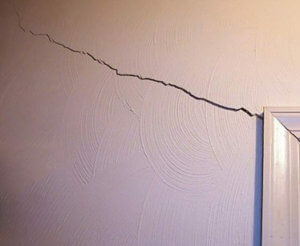 Now go inside the house and look for drywall cracks opposite the brick veneer cracks that have everyone concerned. (Remember where the cracks were in conjunction with the outside windows, as mentioned above). Don't see any cracks in the drywall? Well, do you detect floor slope? Are the windows bound shut and won't open because they're wracked from building distortion? No? You say you don't see anything or any problem? Now, imagine this: we tear all of the brick veneer off the home and throw it into the Tennessee River. Seriously! So we're now looking at a house with plywood or OSB sheathing, possibly covered in Tyvek. The brick is gone. It wasn't doing anything important so let's just imagine it's not there. Well, this home passes the Buck's Vinyl Siding Test. There is nothing to worry about! The brick veneer cracks are insignificant. I'm crazy you say? What do you mean, "Vinyl Siding Test?" Well, I contend that if this home originally had vinyl siding (not brick), then the home inspector would not be concerned with anything (there would be no crack visible to inspect). You just told me there were no cracks inside the home or any sign of a problem. Vinyl siding, as you can imagine, is very flexible. It can stretch and give and not crack. Right? Have you ever heard of "vinyl siding cracks?" 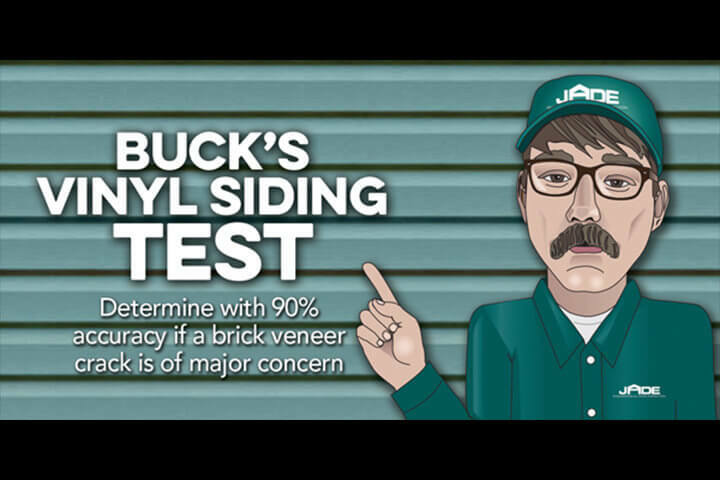 If you're still not convinced or don't understand "Buck's Vinyl Siding Test," I may not be able to help you. But I'll try. In fact, I refuse to give up until all area Realtors understand this very simple/important concept! 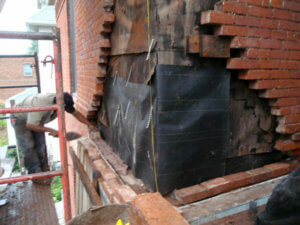 Brick veneer is not a structural component of the home. It supports nothing other than itself. It doesn't support the roof, it doesn't support the floors or ceilings, it doesn't even resist wind loads. Brick veneer is a "veneer"– a siding/weather barrier – no different than vinyl siding in form and function. It is simply the most attractive (and expensive) weather barrier and exterior cladding material available to the pubic and homebuilders. People love it and are willing to pay extra for it. But then people soon hate it, because it cracks so easily.